India is home to plenty of Shiva temples. Let’s take a look at some of the most beautiful ones. Shiva. Mahadeva. Anant. Shankara. He has many names and many forms. He is benevolent, He is fearsome, He is limitless, He is a yogi, and He is so much more. 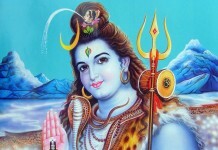 In Hinduism, He is one of the three main deities. People travel miles and climb the highest mountains to reach His shrines and bow down to seek His powerful blessings. Be it the naturally-formed Shiva lingas or the temples having His magnificent idols, travellers from all parts of the world have always been drawn to the places where He is worshipped. Well, it must be Shiva’s power that draws so many people. Besides, these temples are located in some of the most beautiful parts of our country — right from the seas to the rivers to the mountains. Let’s take a look at some of the most beautiful Shiva temples in India. 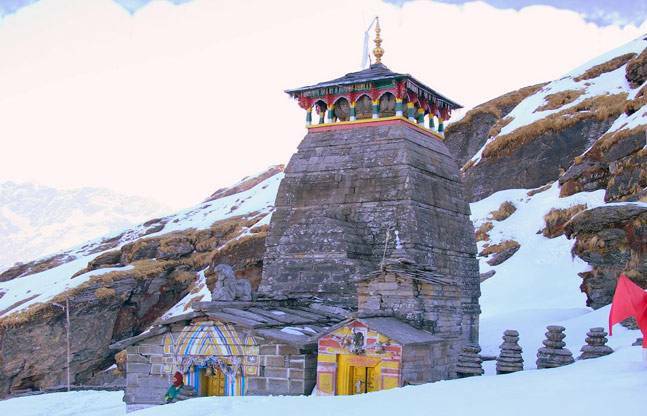 The Tungnath Mandir in the Rudraprayag district of Uttarakhand is considered the highest Shiva temple in the world. Located at an altitude of a little over 12,000 feet at the base of Chandrashila peak, this temple is one of the Panch Kedars and is popular among both trekkers and devotees. Tungnath literally means Lord of the Peaks and the place remains true to its name. Surrounded by snow-capped peaks on all sides, this place is breathtakingly beautiful and offers the perfect break that a traveller looks for. According to the legends, it was Arjuna, one of the Pandavas, who built this temple centuries ago. While the arm of Lord Shiva is worshipped in this temple, idols of popular Hindu sages like Kala Bhairav and Vyas, are also enshrined along with images of the Pandavas. 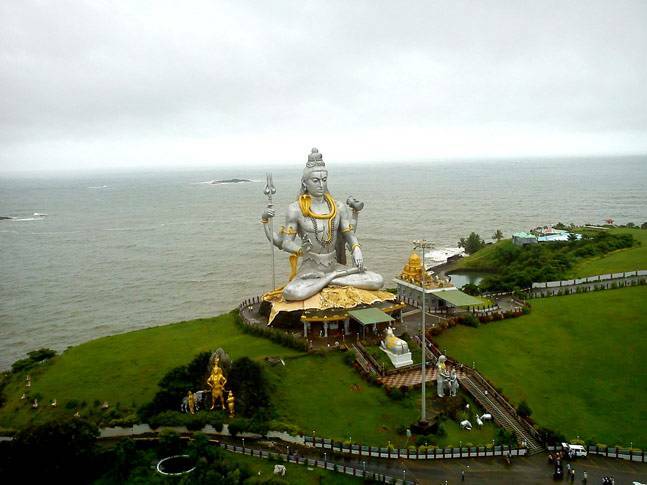 The Murudeshwar Temple in Karnataka is known for having the second-tallest Shiva statue in the world. Towering at 249 feet, the massive structure of Shiva draws thousands of tourists and devotees from all parts of the country and the world. 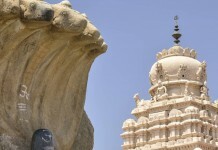 The 20-storied temple is situated at the Kanduka Giri hilltop and overlooks the Arabian Ocean. At sunset, the place looks magical enough to leave a traveller teary-eyed. Legend has it that Lord Ganesha had tricked Ravana into giving up the linga he had received as a gift from Shiva, and placed it somewhere in Gokarna. Angered by this, when Ravana tried to uproot the Shiva linga, it broke into pieces and fell in different directions. 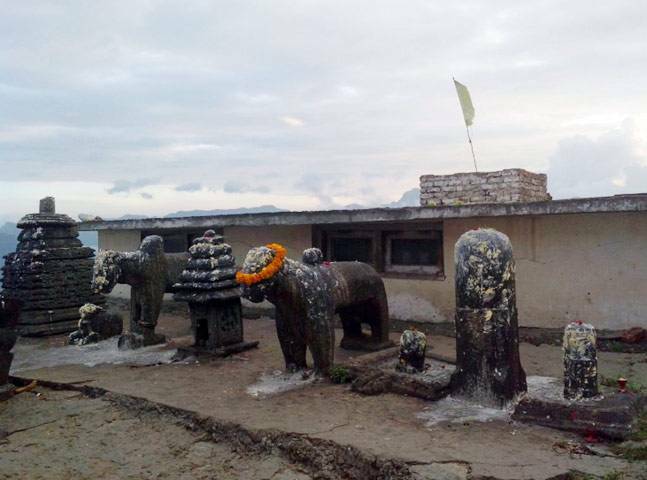 One of them fell on the hilltop of Kanduka Giri, the exact point on which the temple has been built. Murudeshwar can be easily reached by train as the town has its own station, which falls on the Mangalore-Mumbai Konkan railway route. Although it is one of the lesser-known Shiva temples in India, but Bijli Mahadev’s location can be easily considered among the most beautiful. It sits at the top of a mountain in the Kullu district of Himachal Pradesh, at an altitude of 8,000 feet. Starting from the Chansari village, the three-kilometre-trek leads you through a well-defined train maintained by the forest department. Making a stiff climb through an alpine forest, one reaches a table-top peak, which is a vast grassland often grazed by the local horses. The views are mesmerising from this place. Looking down, one can see the entire Kullu district along with the confluence of Beas and Parvati rivers. While on the other hand, the 360-degree views of the Dhauladhar and Pir Panjal ranges are simply breathtaking. The temple is ancient and is said to have been built by Shankaracharya himself to revive Hinduism. The Shivling inside the temple is made of butter and sattoo. The locals believe that the 60-foot-tall-staff in this temple draws divine blessings in the form of lightning, and hence saves the nearby villages from natural calamities. Every year, the Shiv linga shatters to several pieces due to the lightning, following which the villagers hold a ceremony of putting the pieces together with butter and sattoo. The next morning, the linga is visible in its natural form, as the cracks disappear on their own. Right outside the temple are two imposing structures of Nandi. 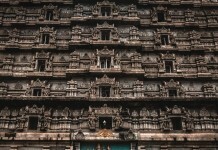 The Kotilingeshwara Temple, located in the Kolar district of Karnataka, never ceases to amaze anyone who comes near it. 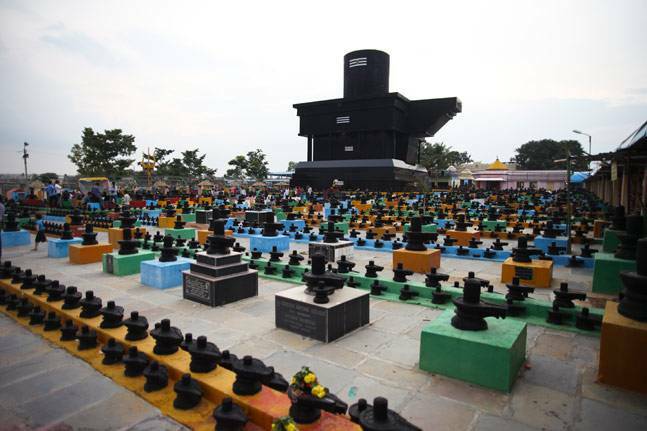 Living by its name, the temple actually houses more than one crore Shiva lingas. Just imagine seeing so many of them at one place. Isn’t it amazing? Previous articleWhy do Indian women wear Bangles?